Trade tracker Pro is a new binary options trading software by Derek Stone. Stone tells us that we will be making $80,000 per month right after watching a short video. We’ve certainly heard this many times in the past and it usually doesn’t work out in our favor. 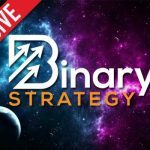 Today I’ll be providing a review and letting you know if you can trust this binary options system or not. The trade tracker Pro website is a simple video alongside an email subscription form. We are told that will get lifetime access for a system that normally costs over €1000. I really don’t believe the system has ever been sold for money nor do I believe it ever will be. In the video Stone tells us that he used to be an ordinary bank employee that happened to come across an application that’s used on Wall Street. We’ve heard so many versions of this story over the years and it’s never impressive. According to the sales pitch we are told that Stone quits his job to test the software that he’s never seen before. Seems like a pretty odd and risky decision. Speaking of risk, Stone tells us that his system is risk-free and when it comes to binary options trading or any trading for that matter this is an extremely untrue statement. Stone also tells us that if we use the trade tracker Pro system we can instantly transfer money from our broker accounts to our bank accounts. I’m sorry to be the bearer of bad news but this is not possible. It binary options broker will always take a day or two minimum before they send you your funds. Stone is trying to make this seem much more accessible and easier than it really is. Binary options is not something that you will succeed at overnight and I don’t believe that this tracker is the answer to unlimited binary success. I am not recommending the trade tracker Pro software to any of the binary today readers. I feel like this is a clear-cut way for binary options developer to try and get you to deposit money with the Titan trade broker. If you think I missed anything or you would like to leave a comment please do so now. As always, I look forward to hearing from you and hope that this review provides you with a clearer picture of the system and binary options trading as a whole.